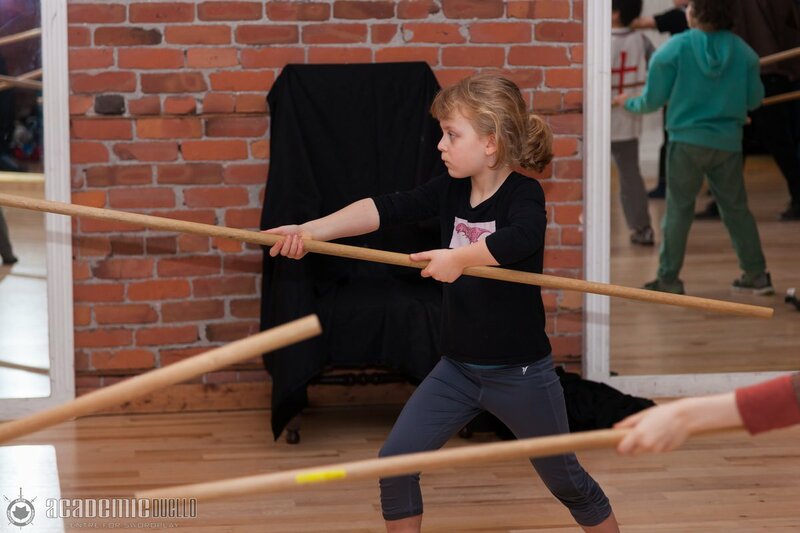 Academie Duello, based in Vancouver, Canada is a school of Western Martial Arts that specializes primarily in the Italian school of swordplay. 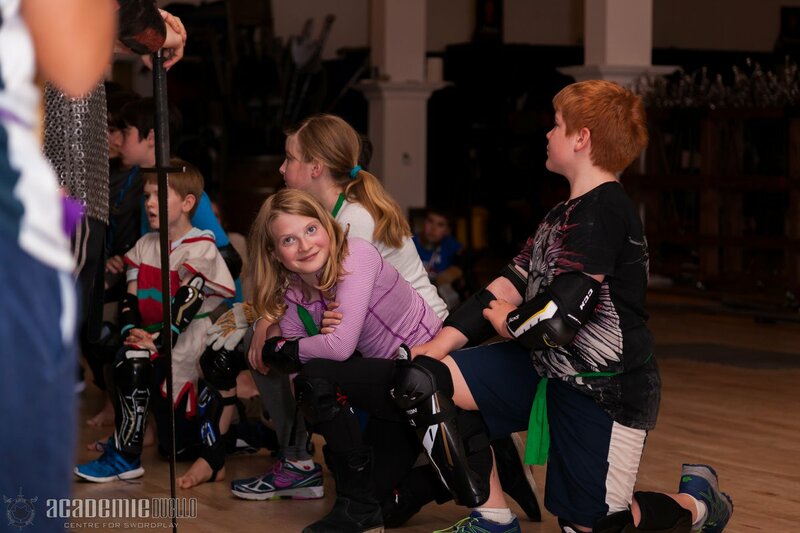 Programs span multiple disciplines including use of the rapier, sidesword, longsword, pole arms, wrestling, archery, and mounted combat at the stables in nearby Langley, BC. 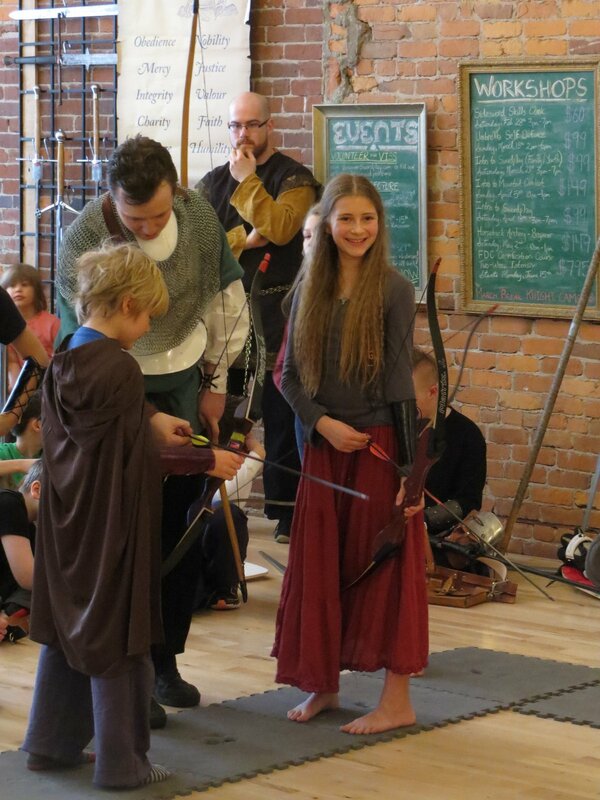 Youth Classes involve a mix of academic learning and weapons based training. Classes start with a discussion on the months topic (armour, heraldry, etc. ), followed by a fun group warm-up. Students then study unarmed material to encourage good posture, structure, and movement, before concluding the lesson with solo and pairs exercises and games. When head contact is a possibility, we wear protective masks, and when things speed up we swap metal swords for plastic ones. 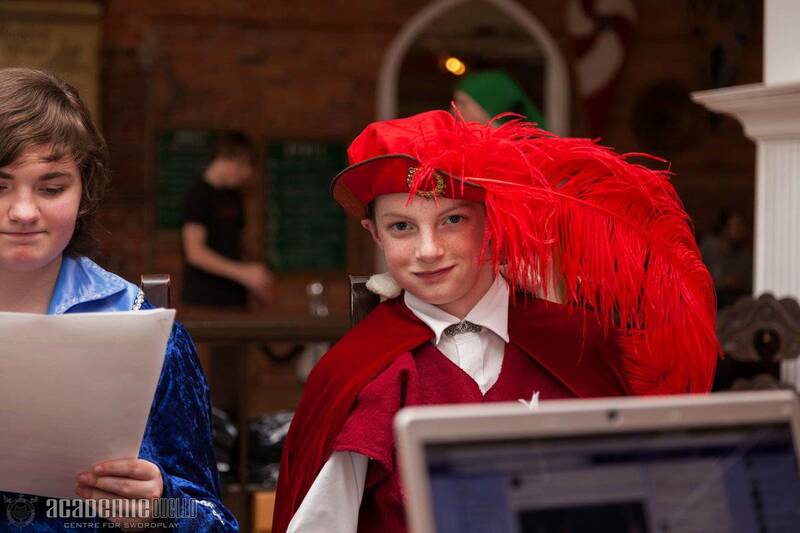 Academie Duello was founded in the summer of 2004 by Devon Boorman and Randy Packer. It’s first location was an outdoor, defunct skating rink. It leaked in the rain, had no heating, was poorly lit but was centrally located. The welcoming nature of the program attracted people from all different backgrounds and a great diversity of ages. The Academie quickly grew, began renting two community centre spaces, and in its second year moved into its first proper facility. In 2010, Academie Duello relocated to its current home, a 5000 sqft heritage building located in the business centre of downtown Vancouver. The space features a large training floor; a museum of Western Martial Arts featuring swords, armour, and original fight books; a members lounge, and a retail store. Devon Boorman is the Director and Master Instructor for Academie Duello. He has been studying martial arts nearly his entire life and has been actively studying Western arts for 18 years. His first taste of western swordplay came through involvement with the Society for Creative Anachronism (SCA) where he achieved the top rank for swordplay with the rapier. From this start he connected with a burgeoning community of swordplay scholars and practitioners that were forming the nucleus of the modern Western Martial Arts revival. He became involved in research and translation projects began travelling, competing, and teaching throughout the world. 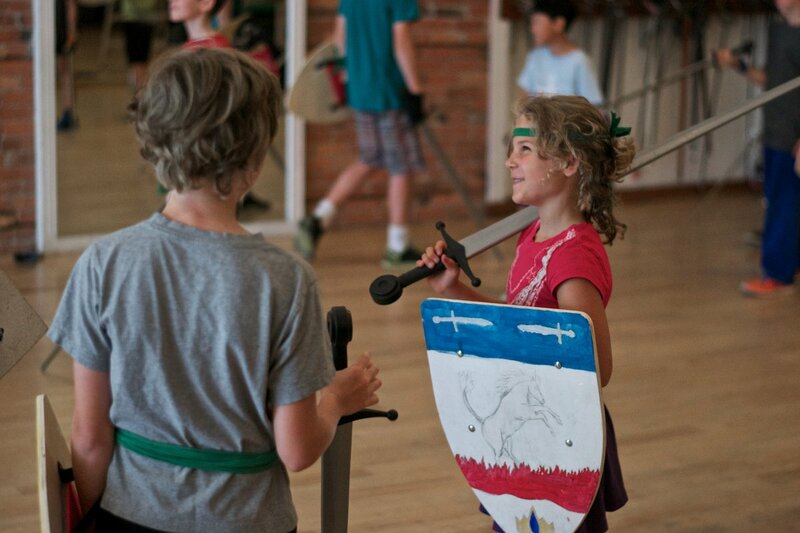 Academie Duello - Knight Camp and Youth Classes has 8 sessions listed on ChatterBlock, visit their website for additional information. Give your child an unforgettable birthday or celebration! 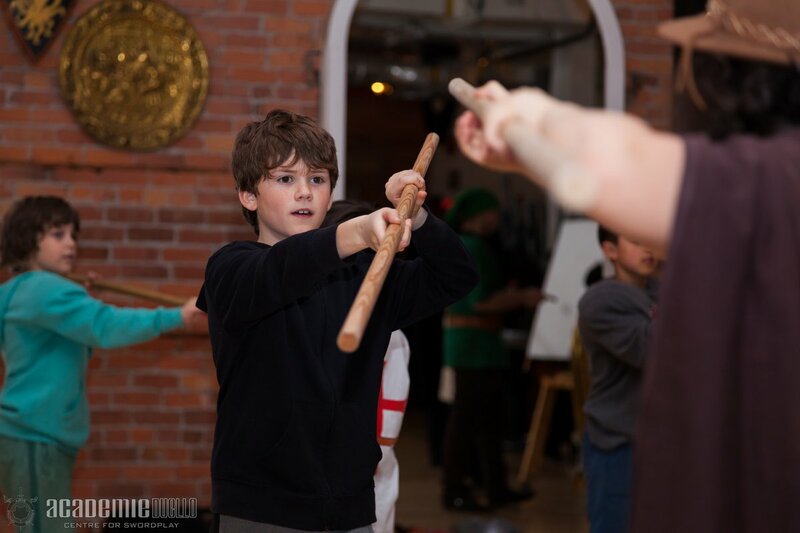 Transport your whole party back in time as they learn to the art of the rapier, longsword, quarterstaff, and all manner of knightly and renaissance skills. Give your child an unforgettable birthday or celebration! 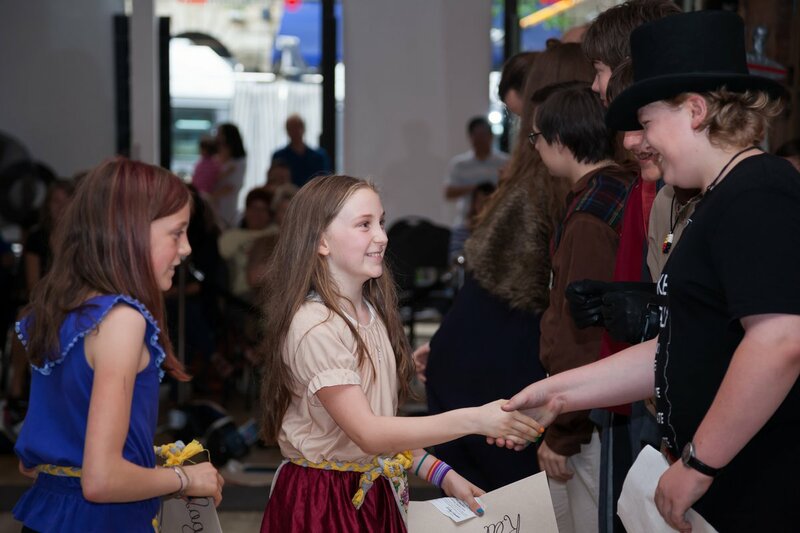 Transport your whole party back in time as they learn to the art of the rapier, longsword, quarterstaff, and all manner of knightly and renaissance skills. Our studio, which includes an interactive arms-and-armour museum, will provide a safe, exciting, and fun environment for kids and parents alike.  Please note that all birthday party packages are also available at an off-site location of your own arrangement (backyard, park, or school gym, for example). 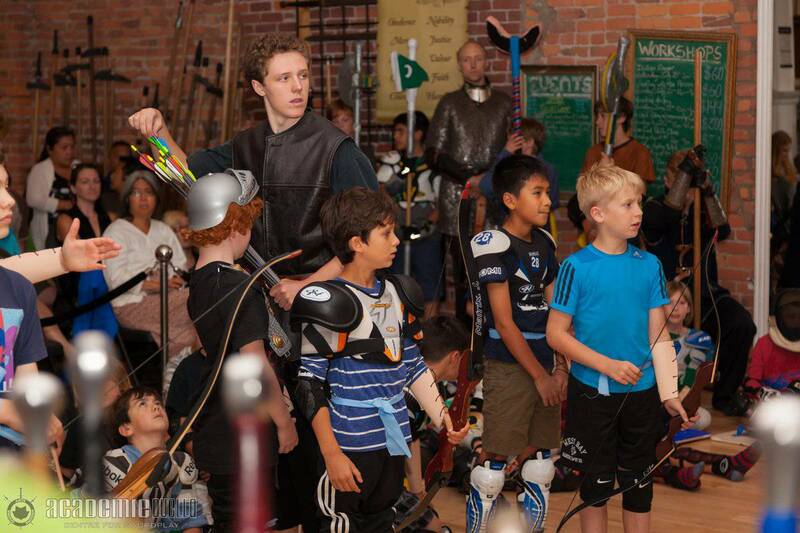 We still provide swords and lessons! Travel time of more than 1 hour (round trip) may result in additional costs. The Page Package features one hour of longsword instruction and one hour of cake and present time in our facility (food not included). 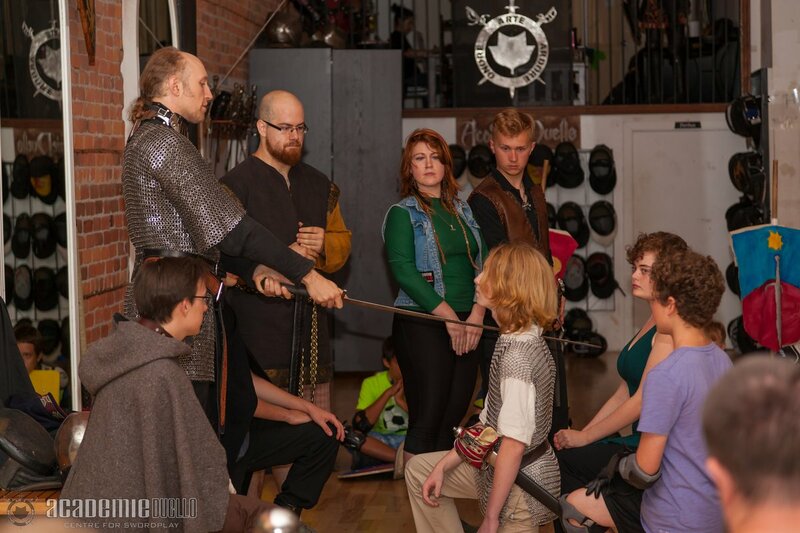 The Squire Package features one hour of longsword instruction, one hour of quarterstaff instruction, 1/2 hour of heraldry, and 1 and 1/2 hours of lunch and cake and present time in our facility (food not included). 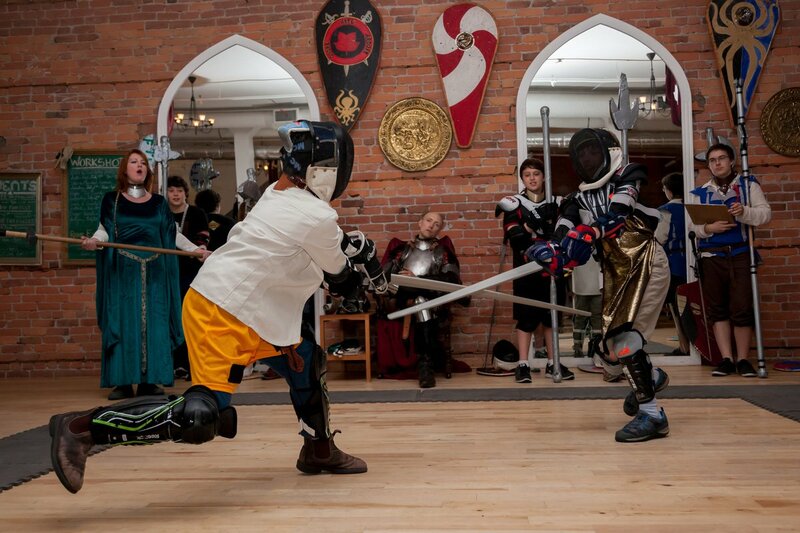 The Knight Package features one hour of longsword instruction, one hour of quarterstaff instruction, one and a half hours of heraldry & shield-making, one hour of sword and shield instruction, one hour of tournament and one and a half hours of lunch, cake and present time in our facility (food not included).